Writing, drawing, and sometimes just scribbling on the walls help us be more creative and efficient, an dhave fun during the working process. 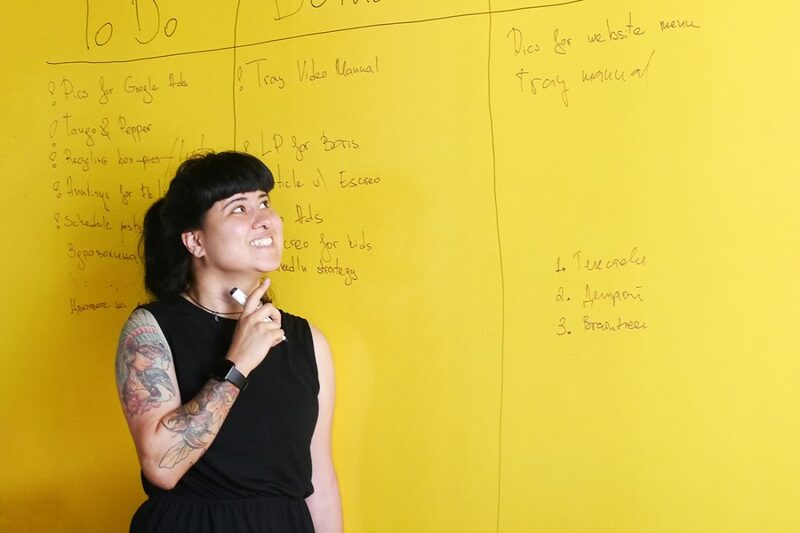 This week we present to you our “digital alchemist” – Manuela. She is the person responsible for our social presence on Facebook, Google+, LinkedIn, Instagram, and any other network where people love to waste their time. 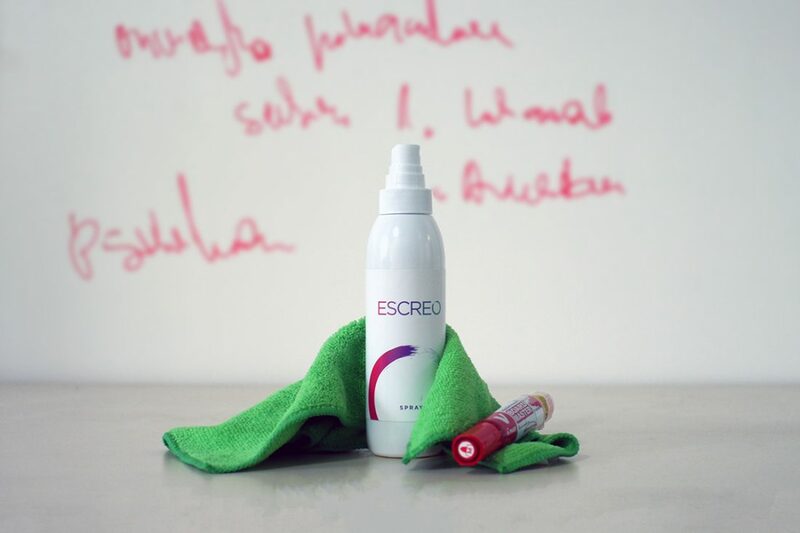 What is the thing you most like about Escreo? I like to see how everyone uses the Escreo walls in a different way. The longer I know the product, the more variations I see. Also, its application – from flower pots and small office equipment to huge projects of hundreds of square meters. I would say that I like the flexibility and adaptability the most. The other day I made a SCRUM table spreading over 3 sq. m. on the wall behind me. Just for my daily tasks. Awesome, right? In what way did you use Escreo last? I was working on the table in question and drew exclamation points in front of the tasks I have to do by the end of the week. 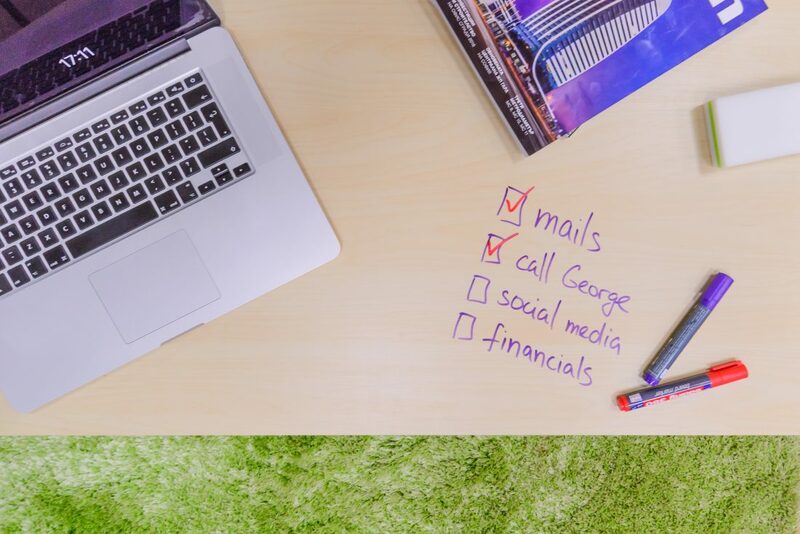 Helps me prioritize the things I have to do before my summer vacation. As much as I want to be one of those “art” people who make great detailed drawings that help them work, I rather record my tasks in the standard way. Also, the wall helps me explain my thoughts to others because my ideas are often quite … let’s call them – abstract. Also, the walls are means of entertainment in the office, we play hangman, tic-tac-toe, we make bets and we record funny quotes. It’s definitely not boring in here.